Ever since the passage of the Affordable Care Act in 2010, all violations of the Anti-Kickback Statute (AKS) have been actionable under the False Claims Act (FCA). In plain language, this means that, if you are aware that people in your workplace are defrauding government agencies, you can file a qui tam lawsuit, also known as a whistleblower lawsuit, on behalf of the government. California has become the most recent state in which the Department of Justice (DOJ) has taken legal action against a pharmaceutical company that, according to whistleblowers, engaged in fraudulent practices related to the marketing and promotion of an addictive drug. The drug at the center of the controversy is an analgesic mouth spray; the FDA has approved the drug only for the treatment of breakthrough cancer pain. Breakthrough pain, a phenomenon common in cancer patients, is when a patient is able to control his or her chronic pain through consistent use of medication but occasionally also suffers acute pain (“breakthrough pain”) that requires additional medication. Thus, the approved uses for the drug were quite narrow. Despite this, the pharmaceutical company allegedly engaged in several prohibited practices in order to entice physicians and nurse practitioners to prescribe the drug for patients other than those for whom it was intended. Whistleblowers reported the following AKS violations on the part of the drug company. The drug company made payments to physicians who prescribed the drug under the false pretense that they were paying the physicians to speak at speaking engagements. The drug company hired physicians’ relatives and friends to work for the company, thus providing the relatives and friends with a stable income, in exchange for the physicians prescribing the drug to patients. The drug company provided expensive meals and entertainment to the physicians in exchange for them prescribing the drug. To make matters worse, the drug is quite dangerous when used outside its intended purpose. Its active ingredient is a highly addictive opioid painkiller. It has great potential for abuse, especially given the current climate of widespread addiction to opioids. Furthermore, some of the prescriptions were paid for at the expense of publicly funded health programs like Medicare. The California court has issued a stay on the case while five criminal actions related to the drug company’s FCA violations are pending. Irresponsible prescribing is a serious problem; it has contributed to the country’s current opioid addiction epidemic. 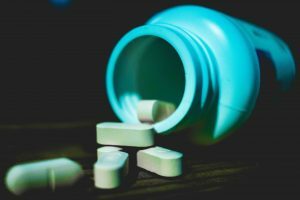 If you have knowledge of drug companies providing kickbacks and bribes to encourage irresponsible prescribing of addictive drugs, it is in your interest and the public’s to file a qui tam lawsuit. According to the FCA, whistleblowers can receive a share of the damages when they file lawsuits against businesses that attempt to defraud the government. Contact Greg Brod in the San Francisco area to discuss a potential whistleblower lawsuit.